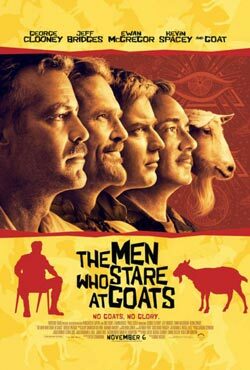 The movie, THE MEN WHO STARE AT GOATS, is based on a book of the same title. While listed as nonfiction, the facts were extrapolated almost beyond recognition. The people in the book were listed by their real names. I was named many times. While some Special Forces units experimented with various techniques, the vast majority of the incidents came from one of two other sources. Formal psi research programs were conducted in the U.S. Army Intelligence and Security Command (INSCOM). There was also a unique think tank called Task Force Delta at Headquarters Department of the Army and later at the Army War College. Delta was arguably the most innovative organization in the world. With support of senior leadership, we were consciously pushing the envelope. It should be noted that all of the explorations undertaken were done based on solid rationale. - The First Earth Battalion (1EB) was created by Lt. Col. Jim Channon, a brilliant imaginer and artist. He literally owns the First Earth Battalion concept. 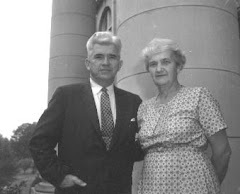 After all, who in their right mind would buy a story about a visionary Army officer embracing Eastern martial arts and West Coast encounter sessions, then recruiting new American fighting men who would "fall in love with everyone," "sense plant auras," "attain the power to pass through objects such as walls," "have out-of-body experiences" and "be able to hear and see other people's thoughts"? And who could accept that this battalion employed psychic powers to locate a hostage halfway around the world - and to stop the heart of a goat? The film's surefire, black-comic attention-getter is the scene of a New Earth soldier named Lyn Cassady ( George Clooney), under duress, focusing a high-energy glare on a still, silent goat - and killing it. 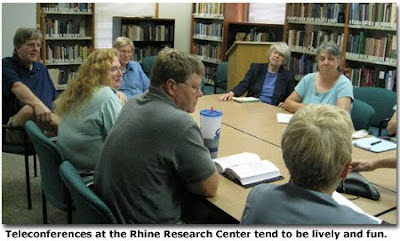 The Remote Viewer's group had another fantastic meeting last Wedensday. Rich Krankoski, who was trained by Paul Smith and has worked as a Remote Viewer, led the group in a review of the fascinating history of Remote Viewing since the end of the US military program, and showed us some of his Remote Viewing sessions. He also shared with the group a video of an impressive Remote Viewing demonstration, and he discussed the film "The Men who Stare at Goats" which is currently in theaters. He also led us in a practice session for the group, and it went really well. We then spent some time discussing our session and the processes we use in remote viewing. As always, it was a lively and enthusiastic group that included folks with a great deal of knowledge of RV as well as newcomers. If you would like to be on the group's email list, to keep informed of our meetings and other RV related news, please drop me a line at bbogle@triad.rr.com. Lively Teleconferences at the Rhine! This is to alert everyone all over the world that we are bringing you more and more opportunities to join us via teleconference for very little expense! On Wednesday from 12-1pm EST we had a lively discussion with Jeffrey Mishlove calling in from Nevada to discuss his fascinating book The PK Man with a local group of discussants and nonlocal listeners. As one listener wrote afterwards, "This was really so much fun to sit at my kitchen counter in Wilmington and hear you, Peggie, Marie, and Christine, et al. sharing ideas and experiences. Made me homesick, actually. The teleconferencing works beautifully and I hope to enjoy many more meetings." Next teleconferenced program: Friday, 11/20th from 7:30-9pm EST will be Circling the Cosmos on a Dream, with Judy B. Gardiner --see website for more details.